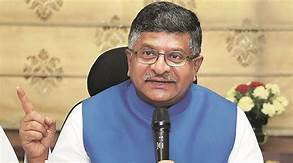 The government aims to more than double production of mobile phones in the country in the next two years, Law and IT Minister Ravi Shankar Prasad said as per the PTI report. "The more digital India will expand, the more you will gain...When our government came to power there were only two mobile phone factories, now there are 120 factories in India which make mobiles. "22 crore mobiles have been made and we have target to make 50 crore mobile phones in coming two years," Prasad said. The minister was addressing 700 village-level entrepreneurs (VLE) at a workshop organised by CSC SPV on 'Tele- Centre Entrepreneurship Course' . Pradad said that he has been informed by the CEO of CSC SPV (special purpose vehicle), Dinesh Tyagi, that common service centres (CSC) were operational in two lakh gram panchayats. "Earlier there were only 25-30 thousand gram panchayats that had CSCs. Now there are 2 lakh gram panchayats where CSCs are present. He (Tyagi) has promised that in coming 2-3 months, CSCs will be opened in 2.5 lakh panchayats of the country," Prasad said. There are a total of 2.5 lakh panchayats in the country where the government is also rolling out high-speed broadband services. Prasad said that the volume and value of transactions done by VLEs at CSCs speak about their potential. "In 2013-14, you did 1 crore 13 lakh transactions of Rs 182 crore. In four years, it has reached 17 crore 38 lakh transactions of Rs 19,925 crore. This shows potential (of CSC)," Prasad said. He said that there are 501 VLEs whose turnover has crossed Rs 1 crore, turnover of 82 VLEs is in the range of Rs 75 lakh-1 crore, 183 VLEs between Rs 50-75 lakh and 23,000 VLEs have recorded turnover of Rs 1 lakh. Electronics and IT secretary Ajay Prakash Sawhney said the VLEs should encourage citizens and merchants for using BHIM app through BHIM QR code in their day to day transactions. Prasad said that 110 Micro Manufacturing Units of sanitary pads have been opened and soon at least one unit should be opened in every block of the country. "I want to make availability of low-cost sanitary pads a mass movement. Swasth Bharat and Swachch Bharat should go hand in hand," Prasad said. The minister also asked to explore the possibility of involvement of CSCs in health insurance scheme and support the citizens in availing this unique initiative of the government.